Since my last post (due to time and summer priorities, I’m writing less regularly) we’ve had one more defection in the Independent Group formerly known as Tower Hamlets First (who were formerly known as Independents). Mufti Miah (pictured) has had the courage to do what other bigger mouths have been threatening to do for quite some time. I have today received notice from Councillor Mohammed Mufti Miah that with immediate effect he is no longer a member of the Independent Group of councillors. Councillor Miah has asked me to inform all Councillors of this. He will continue to serve on the Council as an independent (ungrouped) member. Councillor Miah has told me that he wishes to thank everyone who he has had the honour of serving the community with, and he looks forward to serving the community in all constructive endeavours to improve the community and the lives of those who have elected the councillors. Mohammed Mufti Miah joins Abjol Miah as the two lone defectors from the very unstable and unhappy ship of Lutfurites, who now number 15. More are sure to follow. I love the way Robbani admires the Ukip model so. Had all his honourable colleagues followed it throughout the years, by my count we would have had 11 by elections in total. Instead we have had none. For the record, Ohid Ahmed defected from Labour to Lutfur/independent in 2010, as did Abdul Asad, Shafiqul Haque, Aminur Khan, Rabina Khan, Shahed Ali and Oliur Rahman. The latter two have defected two and three times respectively during their career (Shahed from Respect to Labour; Oli from Respect to Respect Independent, then to Labour). And let’s not forget Maium Miah who jumped from the Tories to Lutfur in 2010 as well. So good for Abjol Miah and Mufti Miah. They’re merely following a fine tradition in Tower Hamlets. In Tower Hamlets, police and council staff failed to tackle intimidation – often in foreign languages – both inside and outside polling stations. Just as we have seen with child sexual exploitation in places such as Rochdale and Rotherham, institutionalised political correctness can lead to the state turning a blind eye to criminal conduct. But the law must be applied equally and fairly to everyone. Integration and good community relations are undermined by the failure to do so. ‘What appears to have happened in Tower Hamlets is similar to what happened in Rotherham, in the sense that as with sexual exploitation, people just turned a blind eye because they were worried about community cohesion and the same seems to have happened in Tower Hamlets’. To clarify, I ask does he believe that politicians and officials were too concerned about multiculturalism and ignored the years of warning signs from Tower Hamlets? ‘Yes, of course’. This is dangerous territory for it risks feeding a racist narrative that [electoral] corruption exists only in non-white communities. There is enough corruption/fraud in the Palace of Westminster and Whitehall with MP/Lords expenses and government contracts to know that’s certainly not the case. 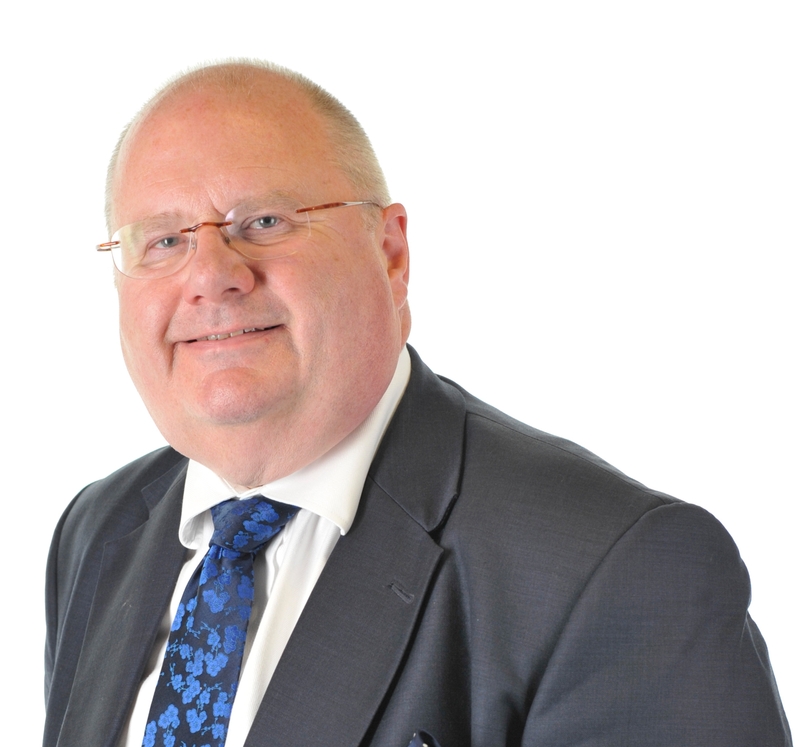 ‘Tower Hamlets is a warning,’ Pickles says. ‘If you are willing to bend the rules and to break the law with regard to elections, you are willing to bend the rules and break the law with regard to the proper running of an authority’. Which brings us to the ongoing court saga involving Lutfur Rahman. Love Wapping has been doing a great job in reporting, e.g. here and here. 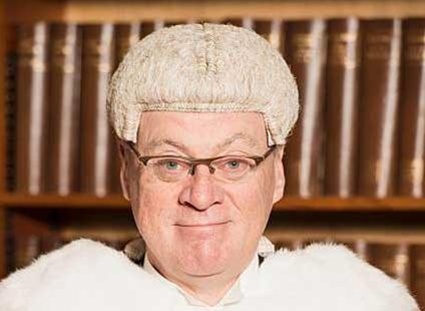 On August 3, Mr Justice Edis (pictured) delivered his ruling on the injunction freezing Lutfur’s assets, a decision made by an earlier judge after an application by the election petitioners who are seeking to recover their legal costs. The full judgment, extending the injunction until Jan 31 2016, is here. I also recommend bookmarking it: it is characterised by a certain degree of scepticism regarding the origin of Lutfur’s legal fund. Some of you will not be aware just how much money he managed to accumulate by way of what he says were loans before, during and after the Election Court hearing. If not, take a deep breath: £750,000. As part of the court process, Lutfur was forced to disclose his list of donors/lenders, which included young nieces and nephews lending more than £100,000. Having highlighted and uncovered so much corruption during the election court hearing, Francis Hoar, the petitioners’ barrister who was described as a “tour de force” by Richard Mawrey QC in April, quite clearly senses a certain back-of-the-envelope/cash-under-the-table modus operandi when it comes to those involved with Tower Hamlets First. He said the list of donors suggested “money laundering”. There controversy during the hearing before me on 3rd August about Mr. Hoar’s description of this evidence as showing “money laundering”. This was, in my judgment, an unnecessarily inflammatory expression. Mr. Hoar made it immediately clear that he did not mean that any of this money was the proceeds of crime. To my mind that makes the use of the term inapt. What he actually meant was that this evidence casts grave doubt on the suggested source of the sum of £749,500. If it was not loans from the 52 named people or companies was it actually the defendant’s money? If so, was the arrangement designed to conceal this fact so that his true wealth remained hidden from the claimant? Following Lutfur’s ‘Defend Democracy’ rally at the Waterlily at the end of April, Labour NEC member Christine Shawcroft volunteered to become a trustee for a properly constituted legal fund; she even wrote a cheque for the grand sum of £100. As a result, she was suspended by the party. It seems as though she was the only Trot to put her money where her mouth was when it came to backing Lutfur. But that fund never even got off the ground. In the background, there was a move by Lutfur’s supporters to boost the coffers of the existing fund. Lutfur’s lawyers were due to lodge the details of his loan arrangements with the court on Friday. If suspicions remain, it won’t just be lawyers asking serious questions. For the fund, there 123 transactions listed from 53 separate people or organisations. The “loans” identified…total £749,500 and were made by 53 different donors. Ms. Turner, the claimant’s solicitor has filed evidence to show that some of these individuals are not likely to have been able to afford such sums. I will not set it out in full, but an example is Foujiya Sultana. She is said to have lent the defendant £80,000 between September and December 2014 and a further £2,500 since. The defendant said in his evidence at the trial that Foujiya Sultana was his niece aged 23 or 24 years. She has a job which is not likely to enable her to acquire large capital sums. Rafia Munni is said to have paid £8,000 directly to K&L Gates [Lutfur’s solicitors] on 17th July 2014. This is the only payment so described and I infer that the rest of the payments (amounting to £741,500) were made to the defendant who paid them onwards to K&L Gates. This inference is supported by the payments out to that firm from the defendant’s Natwest account to which I will come shortly. In addition to that payment Rafia Munni paid further sums amounting to £34,730 in September and November 2014. Again, the evidence suggests that her employment is unlikely to generate such sums. Limehouse.com is said to have lent £25,000 and the London Training Centre £22,000. The financial circumstances of these companies, so far as the evidence reveals, do not permit the making of such loans. Therefore, the suggested sources of these payments into the defendant’s bank accounts are questionable. Where did the money come from? A further question is this: why did all these people lend the defendant money? A donation to a political cause is one thing, but a loan implies an expectation of repayment. Why did anyone think that the defendant would be able to repay £749,500 in loans? According to him, he has a 26% share in one property in London and £12,659.62 in the Bank. It is reasonable to infer that some of these lenders must have a different view of the creditworthiness of the defendant than this. How has this come about? Other notable names on the list include Cllr Sullik (aka Suluk) Ahmed, who is said to have lent £60,000. According to his current register of interests he has no employment or declarable income. He is said to be reasonably wealthy from a house renovations company he used to run. Other councillors include Maium Miah with £4,500. According to his register of interests as of August 2015, his employment is as a Community Development Worker at the Island Neighbourhood Project, Methodist Church (although according to this statement dated October 2014, that project has since closed down). Cllr Aminur Khan, Rabina’s husband, lent £14,500, while Cllr Ghulam Robbani seems to have had a spare £10,000. Quite possibly the wealthiest name on the list is Amirul Choudhury, who gave/lent £30k. He owns and runs successful ChyTel Communications a mobile phone shop on Mile End Road and which forever advertises in East End Life. A former council employee, Mazharul Alom, who used to work for not a great deal of money in Lutfur’s mayoral office before suddenly walking out rather abruptly on John Biggs last month, is also on the list. He appears to have had £3,500 spare. He gave that money to Lutfur by cheque on May 8, a few days after the Waterlily when the calls for help were at their most intense. How very generous. The full list of transactions disclosed to the court is below. A number of people are now examining each and every one. Anyone who has solid evidence or credible information and not mere speculation, please get in touch. Lutfur’s lawyers have stressed throughout there is no wrongdoing in any of this. – Does anyone understand that statement from Gulum Robbani? As an example of pure gibberish, it is pretty good. – Every single name on that list of donors to The Despicable Rahman is Bangladeshi. And he was the one who was so keen to stamp out racial division in the borough. – Where the hell does a 23 year old get £82000 from? Rahman’s lawyers claim that there is no wrongdoing in any of this; are they the same lawyers who claimed he was innocent in court? The rot seems to go very, very deep here. Court case to unseat the remaining THF councillors – I hope this story is true! You’re v welcome to donate any time! on August 17, 2015 at 6:46 am Dave Roberts. All of which were bought for cash. But he also benefited from the fact that the Tories, Greens and Lib Dems stood ” Vanity” candidates non of whom had any connection with or interest in Tower Hamlets or its problems. They may have an address in the borough that was all. Disgusting people. If the above is an example of his ‘correspondence,’ it’s no loss to constituents that he doesn’t reply to them. The very minimum a Councillor ought to be able to do is communicate properly. But in which primary language and in what Tower Hamlets vernacular ? Was Mr Robanni speaking in acceptable local jargon ? “Standard English” was abolish years ago because it was deemed racist and discriminatory. These days the BBC is the biggest promoter of American culture and language to the continuing detriment of my birth language. Perhaps Mr Robanni could enrol in a English language class ? In English of course. It is neither discriminatory nor racist to do so unless it is being used for such purposes. Firstly, I’d like to echo Tims’s concern, where does a 23 year old get her hands on £84k ? I wonder if the tax man should be alerted to such large sums hitting her account? Also, how many of these doners are on some kind of benefit? If they can afford to loan Lutfur £20k, then perhaps they are telling porkies about their financial situations? Who would like the task of alerting the correct departments at HMRC and the DWP? Secondly, is A Chowdhury our good friend Alibor? My my, he must be quite frugal to have £20k cash to splash…. Then again, he is probably protecting his own interests also. They must both know where the bodies are buried…. As I understand it, the suggestion is that Rahman has dispersed his finances amongst others who have returned it to him disguised as loans. This could give rise to a number of offences. There is also the possibility of Rahman being held in contempt of court. Surely it is time to reap what others have sown ? on August 17, 2015 at 8:10 am Dave Roberts. You may be able to help here Tim. If these figures have been presented to the court then if they turn out to be false this is surely a criminal offence. Are there any legal eagles out there who can help with this one? Don’t think I’m enough of a lawyer to be able to shed much light I’m afraid Dave. Although I wish the aforementioned profession all the best as they attempt to unravel this particular thicket of lies. on August 18, 2015 at 2:00 am You couldn't make it up! It’s certainly perjury to lie to a court – and that can be punishable by a term of imprisonment. It applies to both civil and criminal court cases. he shall be guilty of an offence and shall be liable on conviction on indictment to imprisonment for a term not exceeding two years or a fine or both. This offence is triable either way. A person guilty of this offence is liable, on conviction on indictment, to imprisonment for a term not exceeding two years, or to a fine, or to both, or, summary conviction, to imprisonment for a term not exceeding six months, or to a fine not exceeding the prescribed sum, or to both. on August 18, 2015 at 2:08 am You couldn't make it up! (1) If any person lawfully sworn as a witness or as an interpreter in a judicial proceeding wilfully makes a statement material in that proceeding, which he knows to be false or does not believe to be true, he shall be guilty of perjury, and shall, on conviction thereof on indictment, be liable to penal servitude for a term not exceeding seven years, or to imprisonment . . . for a term not exceeding two years, or to a fine or to both such penal servitude or imprisonment and fine. (3) Where a statement made for the purposes of a judicial proceeding is not made before the tribunal itself, but is made on oath before a person authorised by law to administer an oath to the person who makes the statement, and to record or authenticate the statement, it shall, for the purposes of this section, be treated as having been made in a judicial proceeding. shall, for the purposes of this section, be treated as a statement made in a judicial proceeding in England. a statement made by such person so sworn as aforesaid (unless the Act of Parliament under which it was made otherwise specifically provides) shall be treated for the purposes of this section as having been made in the judicial proceeding in England for the purposes whereof it was made. (6) The question whether a statement on which perjury is assigned was material is a question of law to be determined by the court of trial. Note the view that “criminal culpability only attaches at the instant the declarant falsely asserts the truth of statements (made or to be made) which are material to the outcome of the proceeding”. It’s all very worrying and quite odious. Sir Eric is right to throw some Domestos on the ordure of ‘Tower Hamlets First’. I’m wondering when issues like Contempt of Court and Purgury come into play. Also – something that LW has brought up is the issue of the increasingly derided met police deciding not to enforce the law whenever it suits them and rather than press charges under Data Protection or Representation of the People (with regards to Rabina Khan and Tower Hamlets Homes “leaflet-gate”) to simply have words and do nothing despite all the other evidence of associated wrong doing. It stinks of entryism within the police of the Shawcroft kind. LoveWapping and TbJ ought to get grant funding from LBTH because of the crucial public service they do and which the citizens of this borough could not do without. That would be too much of a conflict of interest but I’d like to thank Ted and LoveWapping for their great work. on August 18, 2015 at 1:49 am You couldn't make it up! Having just read  EWHC 2370 (QB) (http://www.bailii.org/cgi-bin/markup.cgi?doc=/ew/cases/EWHC/Comm/2015/2370.html) delivered on 6th instant, I find the goings-on of Mr Rahman truly fascinating. Much more intriguing than the, by comparison, election fiddles. From where did Mr Rahman obtain all the vast sums of money and how many bank accounts does he control, even if they are not actually in his own name ? What has not emerged are the intimate details of what appears to be a potentially vast Rahman web. The public owe considerable gratitude to ANDREW ‘Andy’ ERLAM and also to MOHAMMED LUTFUR RAHMAN for their kind efforts in bringing before us all the juicy bits gradually emerging. Its more entertaining than watching Brain-rot, also known as Junk Vision, on the living room tele. No wonder Eric keeps mentioning the Tower Hamlets name. No other scandal can currently compete with Mr Rahman’s revelations. If one is intending to be a successful crook, then one must do one ‘s careful preparation well in advance. Leaving the covering-up until after the event is always rather foolish. One warm May evening Santa, though officially on holiday, wanted to cheer-up Tower Hamlet’s Finest. Finding Mr R’s chimney blocked-up, Santa popped-round to his niece. Hey presto as packets of gift-wrapped fresh crispy notes floated down her chimney. Santa’s generosity was so great Mr R’s niece have to use 2 large suitcases to keep them in. on August 18, 2015 at 1:47 am You couldn't make it up! I’m sure HMRC would be very interested to look at the context of her payment of tax in previous financial years. If they start looking at her tax returns she can certainly be compelled to provide proper records. Mr Gulam Robbani’s comment suggests he is not exactly the better type of elected councillor. Those with functioning brains know than when writing in a foreign language the deployment of a spell-checker (or even a dictionary) is important. Slap-dash councillor. writes in a slap-dash style and makes slap-dash comments ? Hardly inspiring. Why do the brain-dead vote for such a person ? on August 17, 2015 at 1:18 am Dave Roberts. I’ll come back later with details of Robbani’s contracts with the council. …and how did these people think they were going to get their loans repaid by Lutfur? Perhaps with 50 virgins waiting on the other side? It still seems a bit pricey to me. I’d rather have the cash. on August 17, 2015 at 7:26 am Dave Roberts. As I was discussing the mindset of Lutfur’s defenders on the previous post may I draw your attention to the blog of one of his most vocal who actually lives in Tower Hamlets. Have a look at http://www.glynrobbins.wordpress.com. Glyn is a self described ” housing activist”, that normally means he has been involved in mass squats, occupations of empty buildings, an organiser of demos about homelessness and the like but it seems he has worked for a number of years for an un-named housing association, at least that’s what he claims. He could be lying because he does tell quite a few porkies. Those who watch TH politics will know that he is a serial Trot having been a leading member of Respect, remember them, as well as the mayoral candidate for the Trades Union and Socialist Coaition, an SWP front for which he garnered a handful of votes. He has recently been on a couple of months jaunt around the US of A and is about to write a book on his experiences. Quite which housing association lets their employees have a couple of months paid leave to travel around the States I don’t know. He has consistently denied any Lutfur wrong doing and claims the whole thing is a total fabrication to discredit a real old style Labour politician who stood up to Islamophobia, austerity, racism etc etc. He campaigned for Rabina Khan and appeared at the Waterlilly Centre on the platform with the other crack pots and fantasists. As I have mentioned before he and his partner Eileen Short the sister of the former MP Clair Short rented out their council flat in Patriot Square Bethnal Green and used the income to buy the house they now live in in Cyprus Street. Maybe that’s what he calls being a housing activist. He also claims to be a descendent of a long line of Thames lightermen although the current head of one of those families has never heard of him so he’s a wannabee faux working class with faux accent to suit. He has now barred me from his website as I am apparently a troll. I have never understood what that is but it seems to be someone who doesn’t agree with whoever it is running the blog. If people haven’t got anything else to do why not pop over and ask him some questions about Lutfur’s corruption and see what he says or see how long it takes him to delete the post and bar you? Presumably you have a static IP address ? Do people remember this? What was the outcome?? Is it the same GR who is on the funders list in Ted’s posting? Not only is he incapable of stringing a coherent sentence together but he seems to have trouble with numbers as well. on August 17, 2015 at 8:30 am Dave Roberts. One of Lutfur’s biggest loony left backers has always been Jon Lansman who runs Left Futures the Michael Meacher blog. Lansman has no excuse for the crap he comes out with as one of his addresses in Tower Hamlets is Gibraltar Walk E1 which is actually in Weavers Ward which Robbani represents, I use the last word in its broadest possible meaning. At the time of the election Robbani bought, a local group circulated a leaflet detailing the corruption in the Rahman administration and specifically mentioned some of Robbani’s scams. http://www.leftfutures.org/2012/04/the-politics-of-hate-in-tower-hamlets/ look at the sides 1 and 2 of the leaflet mentioned which has details of the actual corruption. If they are true they are criminal and should be a part of the Homicide and Major Crimes Unit investigation. I think we should all also email Giles £2000 Fraser to demand he pays the money back that he embezzled from the people of Tower Hamlets for the fraud call Tower Hamlets Fairness Commission. You keep producing eye-openers that astonish many – but it is Tower Hamlets after all. Do you know when the leaflet was circulated ? The PDF was created in April 2012. Thanks Jay Kay. Ted wrote (see above) in 2012: “He is one of the mayor’s most trusted colleagues, so it was no surprise when Lutfur rewarded him with a consultancy role”. And now Robbani has”lent” LR £10,000. Some say the Spitalfields by election was the dry run for the 2014 Mayoral election. Shame there wasn’t an election petition then. Linguistic note: My good friend Mr Robert Goldowsky tells me that “Burgpole” is an obscure pejorative of West Germanic origin denoting Western Slavs who, betraying their rural heritage, have settled in the smoke. I just hope that local Labour Party volunteers are scrutinising applications from people seeking to become ‘supporters’ in order to take part in the leadership election so that none of those mentioned in this article get to vote. If Corbyn gets elected what chance is there that Shawcross will be exonerated and the ‘Lutfur was a victim’ faction on the NEC will have the upper hand. They are. They have said that any applicant who has campaigned against the Labour Party will be rejected. No hope for me then. Glad I saved my £3. on August 18, 2015 at 6:01 am Dave Roberts. Shawcross has already been exonerated and is back on the Labour NEC. Given Corbyn’s close links to some of the most violent Islamist terrorists on the planet I have little doubt that he will be inviting Lutfur back into the party as well as extending invitations to Hamas, Hezbollah and ISIS to affiliate. Giles £2000 Fraser can be emailed at gilesfraser@guardian.co.uk. What are the chances of him giving the money back or at least donating it to charity? Some of us, never ever having voted Labour, support Mr Corbyn’s desire to re-nationalise the British Railways. Before the Tories fragmented and privatised OUR railways, BR was starved of public cash yet it really did its very best to provide a good service to the public. Above all, BR was a truly integrated organisation. The Tories privatisation means British railway fares are the HIGHEST in Europe and, surprise, surprise, the Tories give a lot more public funds to private contractors which makes them rich. If only the Tories have given the same amounts of public cash to BR, the public would not be ripped-off by excessively high fares and everyone would be smiling. This, dear Labourites, is one of the many issues The Labour Party ignored year after year. Then there is the utterly notorious Tory Housing Act 1988, section 21. Having attended a County Court chamber’s hearing trying to stop a family being evicted, the Judge – despite the proceedings being recorded – said 5 times The Law is wrong. . Once again the Big Phoney Party who don’t really care about the poor, the disabled, the infirmed, the needy but care a lot about making money out of the system – did nothing to rectify the unfairness of the Housing Act 1988 section 21. Perhaps Mr Corbyn can shake-up his party and make it re-discover its alleged social conscious. As for the terrorist connections I deplore them. However Britain has many other forgotten yet important community issues constantly ignored by corrupt, crap, incompetent, uncaring, evil, nasty Labour. Surprisingly none of which has been mentioned by the 3 right-wing leadership candidates; I wonder why. Don’t forget the Tower Hamlets Election Commissioner’s comments about Labour in 2015 and in 2005 (Birmingham). Finally Mr Rahman was educated, nurtured, encouraged and promoted by the same Labour Party. on August 17, 2015 at 3:32 pm You couldn't make it up! I’m with Francis Hoar on this one. I sincerely hope that Her Majesty’s Customs & Excise (HMRC) are taking a particular interest in the names on what does seem to look an awful lot like a money laundering exercise. I’m not referencing any particular legal definition so much as indicating I’m using this term to mean money that is taken from one place and placed in another in order to misrepresent ownership and conduct a transaction without revealing its source. Possibly with a view to defrauding the Revenue of tax or a Petitioner of their properly awarded legal damages. I seem to recall the High Court takes an extremely dim view of anybody who attempts to hide resources from its grasp – and those who get involved along the way. Those who are named and involved without realising what was happening might be opening themselves up to some very close scrutiny by the Police and HMRC at some point in the future. That’s the sort of scrutiny which can come with significant penalties. Those wishing to confess to being taken for a mug could do worse than contact their local police station or failing that this blog or the Love Wapping blog or Andy Erlam! Just a thought! on August 17, 2015 at 8:17 pm Dave Roberts. Exactly. As with criminals the question will be, where did the money come from. he various money laundering and terrorism acts will come into play. This reminiscent of Private Pike. ” You stupid boy”. Let’s not forget that HMRC have huge and far reaching powers. Come on, flex those muscles and investigate this questionable activity! Regardless of the organisation’s size and strength, what really matters is the staff’s interest, their existing workload, tasking and the private concerns expressed confidentially to the Head of Service. A few words in the right place inevitably produce wonders without a trace of third-party intervention. Don’t know who marked you down. Probably a share or loan holder in Big R Funds Ltd.
on August 19, 2015 at 6:46 am Dave Roberts. The ” tainted gift ” is an interesting ploy. I read of a convicted cigarette smuggler who lost a massive house in Virginia Water that he had gifted to his family and couldn’t prove where the funds came from. on August 20, 2015 at 4:30 am You couldn't make it up! on August 18, 2015 at 2:20 pm You couldn't make it up! * I hate the fact I no longer have a simple click to move back or forward by one post. I used to use those links at the top of the page near the current blog post title a lot! I’ve also lost a simple link to a recent post. * cannot see how many people have commented on a post. I now have to click to see whether or not it’s worth reading for the comments. * there’s no list of other interesting blogs related to the area. It needed editing rather than losing. If you want to go for something similar why not try one of the magazine formats? Ok ok! Will change! What about the selection of new header pictures? are they ok? on August 20, 2015 at 3:05 am Dave Roberts. The subtle juxtaposition of Livingstone, Galloway and Lutfur is a masterpiece. I’m seeing a header image which has a large expanse of empty space and then the bottom half of a woman’s face. Absolutely no idea who she is. Cannot make sense of the point of the image. Maybe it depends on what sort of screen you have? You have my sympathy – getting long thin images right is an art in itself! Not easy! What screen are you using? on August 20, 2015 at 9:32 am You couldn't make it up! on August 20, 2015 at 5:23 pm You couldn't make it up! the heads are cut off in every single image. You need to look at the height of the ideal image for this template and the height of the images you are using – or use a design with a deeper header. The ones that work on a blog which has a specified width do not work when the display resizes for the size of the screen. I also don’t like the mobile phone version. It has no hamburger menu and which has completely lost the archives and the ability to move to a different post. Your traffic will diminish over time. My recommendation would be ditch the template and go back to what you had before – it worked. Linux + Firefox = everything is NORMAL. Do not recognise Mr Couldn’t’s complaints. Perhaps Mr Couldn’t should get software that works ? Have a nice day everyone, whilst dodging the rain. Linux is a powerful endless feature-full dynamic computer operating system used all around the world including parts of the British government as well as the USA government and in most data centres. You do, however, need an IQ of at least 101 to use it. Libre Office ( http://libreoffice.org ) is a powerful feature-full dynamic replacement for Microsoft Office. Not only does it have a Linux version it also has a version for those lamentable Windoze users. Unlike Mac and Micro$oft, both Linux and Libre Office are entirely FREE and are open source which means they contain NO spyware (something Micro$oft has always been doing). With Linux, you do NOT need to disclose to anyone your name, address, telephone number, email address etc. etc. etc. Ditto Libre Office. on August 19, 2015 at 6:43 am Dave Roberts. Stop whinging, you sound like a bleedin Pom! I have no confidence that the Met Police will do the right thing as far as Rahman and his corrupt Councillors are concerned. I tried reporting crimes today about wrong-doing at the Council and they couldn’t have been less interested or more unhelpful. They wouldn’t take details and consequently the crimes go unreported and not investigated. No wonder the Council gets away with so much and why it will take years before the borough returns to anything resembling normal. I did post a substantial comment on this very topic – that of an incestuous “partnership” between principal local authorities and their corresponding police area chums. Far too close – just like bent cops socialising with serious criminals as soon as they leave prison. on August 21, 2015 at 5:19 am Dave Roberts. Who left prison, the criminals or the bent cops? The socialising went on in the case of Limehouse nick before anyone went to prison. The meeting place was The Urban Bar less than a minutes walk from that station. I understand that class A drugs were consumed by officers on the premises and the whole thing has been visually recorded. There are about to be some revelations that will maybe see coppers doing porridge. on August 21, 2015 at 5:14 am Dave Roberts. I think you will find that the situation has changed Jay Kay. As has been pointed out before on this blog the investigation into Rahman and co has been taken out of the hands of H Division or whatever Tower Hamlets policing is called these days and is now run by the Homicide and Serious Crimes Unit at Scotland Yard. The Inspector Cluelesses at Limehouse are in deep do do and anyone who has ever served in the Community Safety Unit there may have to making some career change decisions very soon. I’m aware that the situation has changed in that any investigation has been passed to the HSC Unit but having tried unsuccessfully to contact this unit at Scotland Yard I’m not persuaded they will be any more effective. on August 22, 2015 at 7:52 am Dave Roberts. A little initial investigation of the list above has started to produce some results that I could do with some help on. I looked first at the London Training Centre. http://www.companycheck.co.uk/company/07608410. This has the registered address of 13 Belgrave Rd E13. The director, one Abdul Habib, gives his address as unit 7 7-10 Greatorex Street E1. He is also a director of Societylinks Tower Hamlets http://www.companycheck.co.uk/company/07750061 which gives its address as Whitechapel Threshhold Centre of what appears to be a private address at 80 John Fisher St E1 E1 8JX. These companies don’t seem to be in the financial shape to make £5000 donations. I have never heard of either of them, has anyone? Its getting better week after week and ALL the info is free. on August 23, 2015 at 6:16 pm Dave Roberts. on August 22, 2015 at 8:37 am Dave Roberts. Next up and of great interest is Mr Bashir Raza Chouwdhury. This gentleman is the director of two lettings companies. http://www.companycheck.co.uk/company/03908666 and http://www.companycheck.co.uk/company/07396879 for the accounts. All Seasons Lettings came to the attention of a friend of mine at the time of the Labour investigation into the packing of the party lists in Tower Hamlets. 333 Hanbury St is a flat owned by Lutfur’s sister. When that was visited in 2010 a young Bangladeshi woman lived their but produced a rental agreement from All Seasons Lettings of 20 New Road E1. She had lived there for some eighteen months and had never heard of the three people, Lutfur’s sister, her husband and A N Other who had recently joined the Labour Party from that address. The two companies are currently believed to managing in the region of four hundred properties and have been the source of dozens of addresses for bogus party members and voters. They are well worth a look from Inspector Knacker’s merry band of constables. The Judgement against Rahman clearly showed where ghost voting had taken place. Plod has done nothing. Hogan Howe’s cowboys and gals have drunk many cups of tasty coffee since then and have not only been paid but have seen their pensions increase too. Everyone knows ghosts don’t exist so why on earth should the police bother to chase something that simply don’t exist. ? Surely the fuzz should be concentrating on ‘real’ crime and on ‘real’ criminals not on allegations that ghosts voted. A non-working rear light is much more like ‘real’ police work than speculating about ghosts. on August 22, 2015 at 9:27 am Dave Roberts. And before I go to breakfast. Chytel Communications accounts are of interest and as an accountant Ted should be able to explain the implications. As I understand them they mean this. These are the most recent set of accounts and don’t look like those of a very profitable company able to donate £ 30K to anyone or even lend it. The assets will be the stock of mobile phones and the lease of the building and Chytel, whilst a long standing company, is in one of the most competitive sections of the economy where margins are low. There is also probably absolutely no truth in the rumour that when Mayor of Tower Hamlets Lutfur Rahman cut the grant to Tower Hamlets Law Centre so that it couldn’t afford the rent on 214 Whitechapel Road so that the lease could be transferred to a lettings company called All Seasons Lettings which now occupies a very prime East London site. There is absolutely no evidence to suggest that this company is the one of the same name as the All Seasons Lettings that donated £20K to Lutfur’s legal costs and I have no doubt that even as I type this Lufur is instructing Crook, Crook, Wittegenstein and Crook incorporating Mssrs Sue, Grabit and Run to seek exemplary damages and costs for this totally unsubstantiated and politically motivated smear. There is the small matter of up front costs and details of a bank account where donations can be made will appear shortly. Chy Tel as a company hasn’t given any loans. And for what it’s worth, a company with that balance sheet would most likely be able to afford it anyway. But it hasn’t. on August 22, 2015 at 4:11 pm Dave Roberts. Disagree. I’m not letting you cook my books! I have more info on the man and I’ll be back later. Your kicked back comment (now disappeared) was far too libellous. Ted would get the legal blame and some of the legal liability for paying damages if he didn’t remove it. One can write many things especially when they clearly state it is not a Statement of Fact but a truly held personal belief. Thanks for the insight. Its much appreciated. on August 23, 2015 at 7:52 pm Dave Roberts. True or Not is not the important point. We do not live in a law-abiding society. Fairness and decency, although desirable, are neither compulsory nor universal. We do not, as your massive amount of Tower Hamlets knowledge proves, live in a perfect society. Ted, by allowing clearly defamatory material to remain on his blog, would, as the actually publisher (you are the author), make himself a party to any legal proceedings brought by the entities of whom you complain. There is another, largely unknown to the masses, offence of malicious falsehood potentially confronting Ted. As an experienced journalist – very well known in the trade – Ted knows the legal aspects of what can be published without lawyers breathing down his neck. He knows it better than non-journalists because that aspect of the law is an essential part of all journalists’ basic training. Despite all that legal knowledge journalists very frequently refer their carefully worded articles to specialist (and expensive) media lawyers for a second opinion. Ted is not a coward. He is being sensible by complying with the laws all of us are supposed to obey. Generally I like reading what you write. It keeps opening my eyes. However you need another method of publishing your concerns so they are not unproven Statements of Fact. For example ………………. Recently suggestions have been made that Mr/Mrs/Lord/Doctor Bloggs of Tower Hamlets might have been involved in making decisions about the award of public cash to various organisations which, in gratitude for the ‘donation’, promptly thanked the person organising the gift with a sum of cash. Local rumours claim the Thank You cash was received on multiple occasions. We have no evidence whether the Thank You sum of cash was accompanied by a Thank You card. Despite having no proof of these alarming, and potentially scandalous criminal, allegations, as law abiding citizens we would enthusiastically support a full-scale police investigation to establish the truth of these worrying, but so far unsubstantiated, claims. A statement without qualification is, in law, A Statement of Fact. If challenged you will have to prove to the civil (private law) standard of proof it is true – meaning on the balance of probabilities. Wording stating it is your personal opinion is not A Statement of Fact. Not a lawyer, not a proper journalist. on August 23, 2015 at 7:53 pm Dave Roberts. Ted Jeory is a coward and this is my last post. on August 28, 2015 at 11:54 pm You couldn't make it up! on August 28, 2015 at 11:57 pm You couldn't make it up! 2014/15 – Not yet published.